The Provoc Contour, Correct, Conceal Palette glides on smooth with maximum coverage and does not give any cakey or greasy feeling on the face. A multi-purpose makeup product, the Provoc contour profile is lightweight and can be used for contouring, highlighting, concealing, correcting your makeup all at one go. It gives a matte, flawless look to your face and at the same time hides all flaws, minimizes pores and fine lines! Explore the entire range of Face Palettes available on Nykaa. 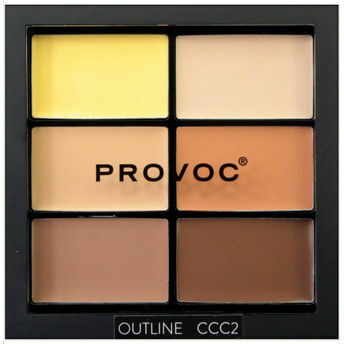 Shop more Provoc products here.You can browse through the complete world of Provoc Face Palettes .Alternatively, you can also find many more products from the Provoc Contour Correct Conceal Palette range.